Civita Bagnoregio is a delightful ancient hamlet, noted for its striking position atop a plateau of friable volcanic tuff overlooking the Tiber river valley. Perched on top of a tufa hill among a desolated valley made up of calanchi, Civita Bagnoregio is an Etruscan town with over 2500 years of history. The continuous erosion makes the soft tufa rock becoming thinner and thinner: the hills edges fall off, leaving the buildings built on the plateau to crumble. Civita Bagnoreggio is slowly dying. In 1695 the beginning of Civita’s decay was signed by a terrible earthquake which compelled many inhabitants to leave the city. The continuous sismic activities that followed in the course of the centuries, brought a long series of landslides; for this reason, Civita almost became completely desolated. Today, in fact, only a very small number of people live there who are determined to keep this little fragment of rock alive. Thanks to these stubborn inhabitants, today Civita is an enchanted place, where time seems to have stopped. Wandering around the century old is an unbelievable experience. Civita Bagnoreggio is just one hour and a half driving from Rome, which makes it a perfect destination for a day trip. Delightfullyitaly.com is the blog for all the ones in love with Italian culture, Italian sights, Italian monuments .. and with Italian food! 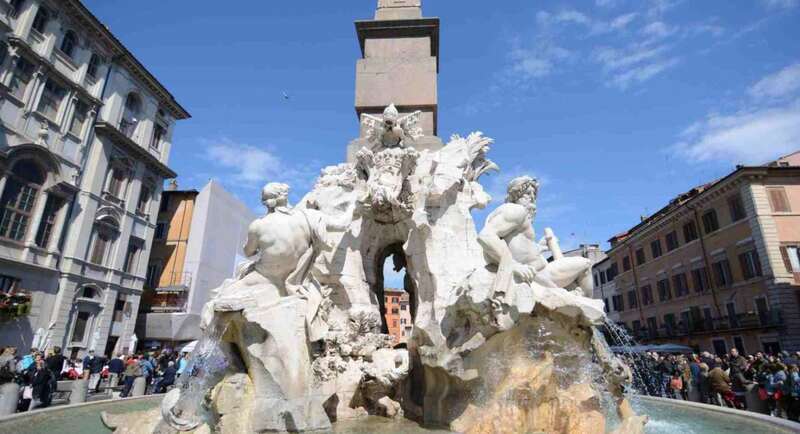 If you wish to visit Italy for the first time, or if you already discovered Venice, Rome, Florence, the Amalfi coast, but still want more, delightfullyitaly.com is here to disclose to you Italian Must See as well as Italian hidden treasures.